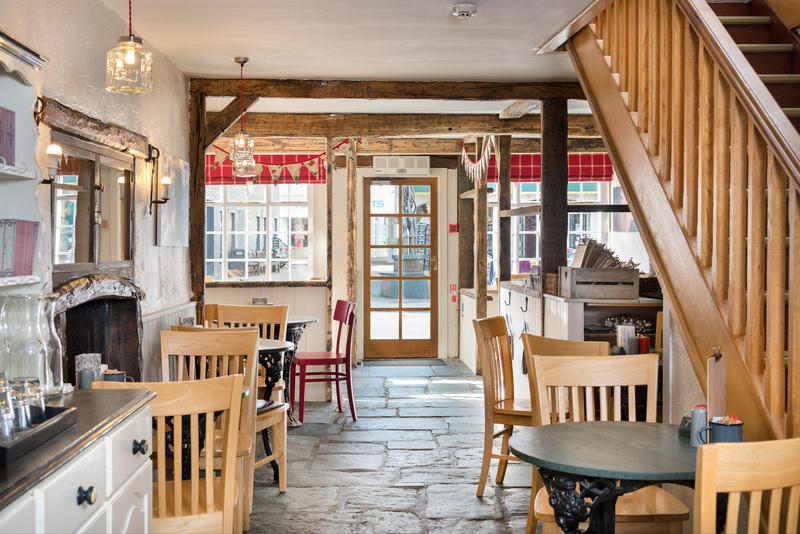 The Wild Strawberry may be one of the oldest cafés in Keswick, but it has been given a fresh new look to coincide with its relaunch as a crêperie. 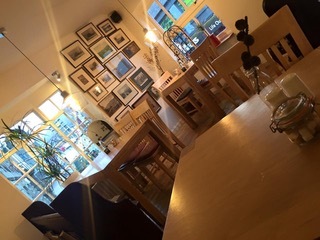 We have redecorated throughout and sanded the beams downstairs to lighten the café. Upstairs has new flooring and we have created more space, so there is plenty of room for larger groups. 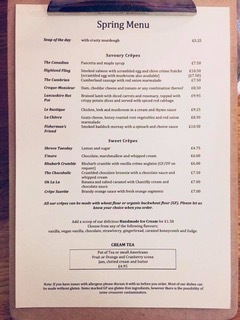 Our new spring menu is here with plenty of tasty savoury and sweet crêpe fillings to tempt you. Our chefs have created their own take on Lancashire hot pot by filling a crêpe with braised lamb and rosemary and topping it with crispy potatoes. Our goats cheese crêpe is served with honey-roasted root vegetables and homemade red onion marmalade. Or if you have a sweet tooth, why not try our rhubarb crumble filling whist lovely rhubarb is in season? For the chocoholics among you, we have a new crêpe filled with crumbled chocolate brownie and chocolate sauce with cream. Feast your eyes on the menu…..
Why not treat someone to a gift they will love? We now have gift vouchers available to purchase in our crêperies. 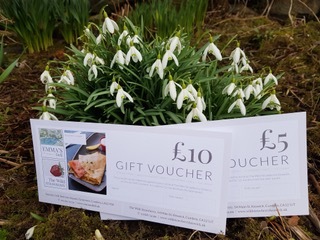 Available in denominations of £10 and £5, our vouchers can be spent on food and drink at either The Wild Strawberry in Keswick or our sister café, Emma’s Dell in Grasmere. 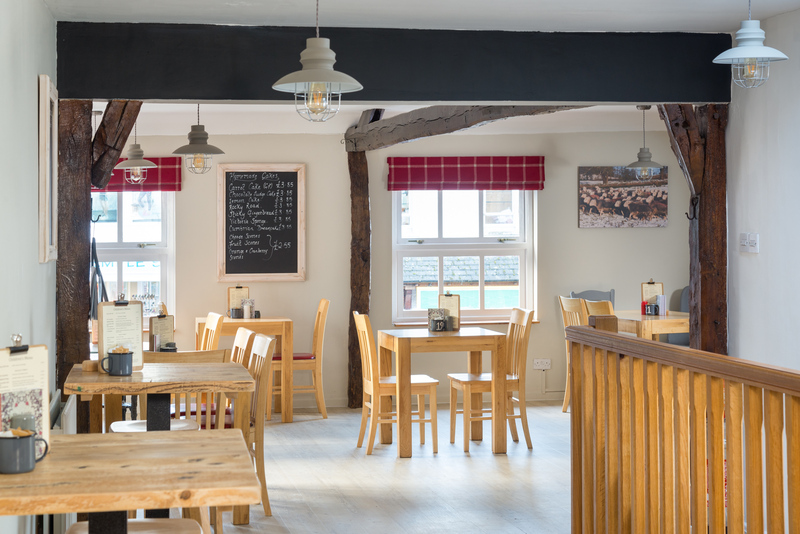 To buy your vouchers, pop in to see us at one of the cafés, or contact us on 01768774399.